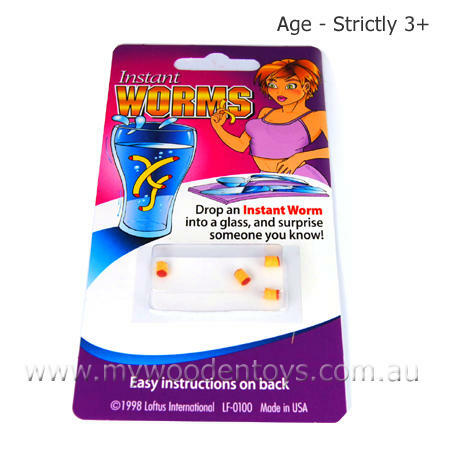 Joke Instant Worms Trick all you have to do is add these to a glass of water and watch them grow and wriggle. These little worms are weirdly realistic and great to use at a family dinner. Remember not to drink the worms though. We like this because: "Horribly fun. "